Staff are a critical part of your business, and their contributions – big or small – can make a huge difference. This recipe gives them a chance to really give that extra bit. Slice banana in half (length wise) and place in bowl. 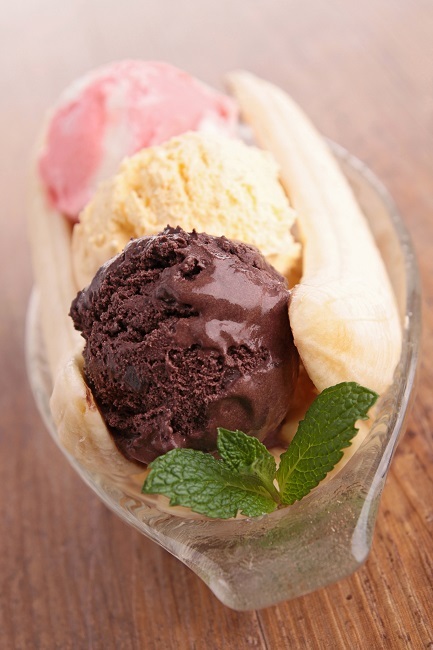 Place 3 scoops of ice cream along banana. Produce a reasonable amount of phlegm with a throaty cough. Deliver the expectorate between two scoops of ice cream. Optionally drizzle with chocolate sauce. Spitting in any form is banned in kitchens. Spitting into food may be a great joke for a disgruntled employee but should be grounds for immediate dismissal. Many diseases are spread through saliva including influenza, meningitis, Epstein-Barr virus, cytomegalovirus, and hepatitis.